Arama, what will you be watching this season? 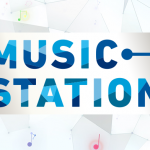 Summer is packed with tons of exciting Jdramas! 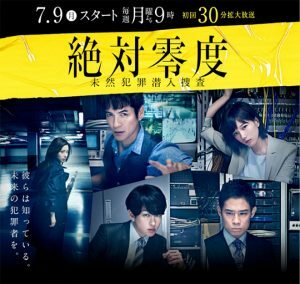 Synopsis: Previously a detective for public security, Izawa Norito (Sawamura Ikki) gets transferred to the Documentation Division in the General Affairs Department, to become the head of office. Gathered at this Department are people who were uncontrollable at normal police stations. Despite being known as the department for “drifters,” the documentation division in fact has been assigned a major project at its backdrop. This project entails the gathering up and analyzing data of the Japanese national public, to crack down on murders before they happen. These data include, personal information details, video footages from surveillance cameras, and information data from e-mails and telephone data. All of this get compiled to be analyzed through AI technology, alongside criminal documentation for the past 15 years. The Documentation Division has been assigned a mission. To pick up on early signs of potential criminal activity, and preventing them before they occur. 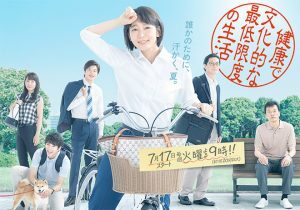 Synopsis: The main character Emiru (Yoshioka Riho), gets a job at a ward office, where she immediately gets assigned to the welfare department. Despite becoming a member of the public official for stability, her job involves working and supporting people with financial difficulties, through public subsidies, as a caseworker. By working with many different kinds of people, she gradually tries to become a competent worker despite the hardship of the job itself. 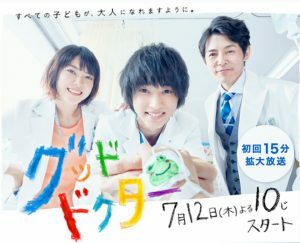 Synopsis: One day, (Yamazaki Kento) steps into the world of pediatric surgery as a trainee doctor. It has always been his lifelong dream to become a pediatric surgeon. Despite the prejudice and the hardship that he receives from those around him, he gives his all to save the lives of the children, whilst also being considerate of their emotional status. This is a story, rich in emotions, through the elaborate depiction of Minato and the children, growing up together through various experiences. Despite his pure willingness to save the lives of children, differences of opinion with the hospital, lead to various clashes and problematic situations. And, various questions arise from Minato and the others, such as the real meaning of being a good doctor, and also how one should live his or her life. These are just some of the questions which are raised in the story, all of which are sure to reach deep into the minds and the hearts of the viewers. Don’t miss his mad antics on Saturday nights! Our protagonist is an old man who’s begun to see the end of his days. Feeling purpose in serving others and having lost his beloved wife, he invests all his emotional energy in his granddaughter. It’s enough to draw the ire of those around him, who think him dependent on his grandchild. The life of a danchi and the life of a person are strangely similar. Both are needed and praised when young, with plenty of opportunity for action, but as the years pass, both buildings and bodies weaken, until they find themselves at a crossroads. Some danchi that are rebuilt, and some people begin a second life, but there are others who simply wait until the end, unable to do anything. It is human nature to wish to deny the present and idealize the past the more one grows older. The man dedicates what life he has left to restoring the past, and chases after his ideal family and danchi. However, like a river, time can never go backwards. 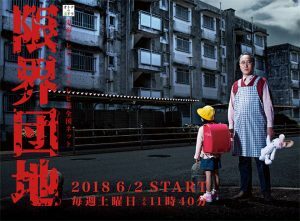 Aiming to bring back the danchi of the past for the sake of his granddaughter’s future, the man’s passion for his contradictory ideal gradually descends into madness.